Photo and recipe thanks to Lucks.com. Decorating idea by Charra Jarosz. 1. 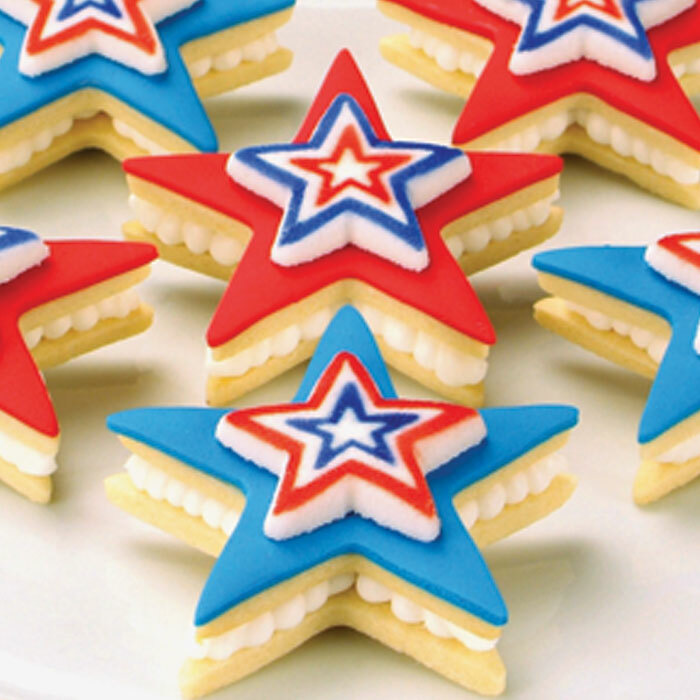 Prepare your favorite cookies using a star-shaped cutter, or use pre-made. Let cool if applicable. 2. Mix/prepare the red and blue fondant. 3. When cookies have cooled, ice half of the cookies with dipping or sheet fondant, or royal icing. TIP: if using sheet fondant to cover the cookies, use the same cookie cutter you used to cut the dough. 4. 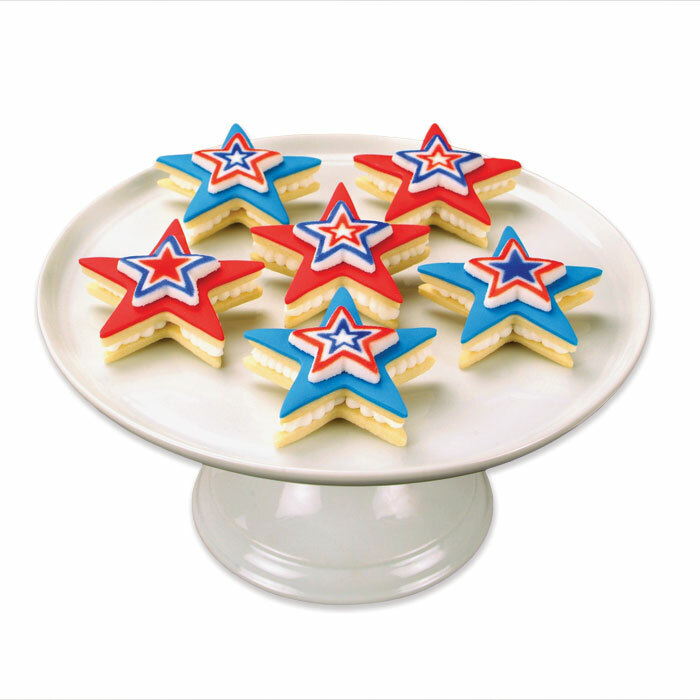 Attach one Large Patriotic Stars Dec-Ons® decoration to the top of each iced cookie with a dab of icing. 5. Place the uniced half of the cookies face down. Fill with your choice of icing, and then place an iced cookie on top of each. This entry was posted in Baking Inspiration, Cookie Recipes & Ideas, Instructions & How-To's, Recipes & Tips, Summer Fun Baking and tagged 4th of july cookies, patriotic cookies, star cookies by Fancy Flours. Bookmark the permalink. Pingback: 13 Simple July 4th Desserts | Mommy May We?Mommy May We?